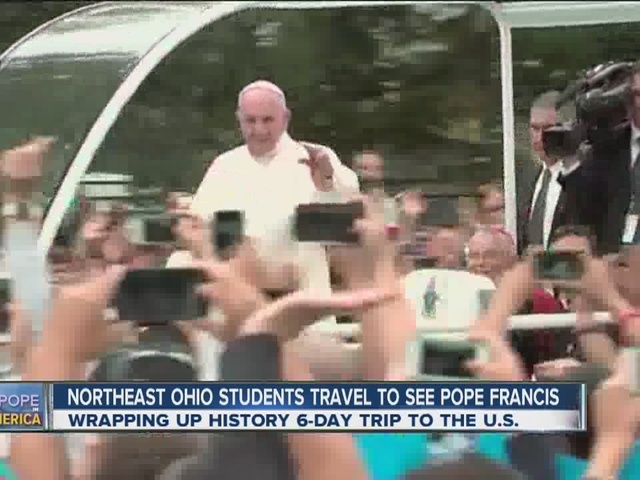 As Pope Francis wrapped up his first American visit to the United States on Sunday, he once again drove home the value and importance of the family. It was after all what brought him to Philadelphia and to the U.S. for the World Meeting of Families, a triennial gathering of Catholics from around the globe to study and strengthen the role of the family in society. For me, it was a reminder, in the city of my birth, of the role my family played in shaping my life. I grew up in a row home in Northeast Philadelphia. I was the youngest of five kids in a neighborhood that to call Catholic would be an understatement. I remember as a grade schooler the joy the city had when Pope John Paul II became the first pope to visit Philadelphia in October of 1979. 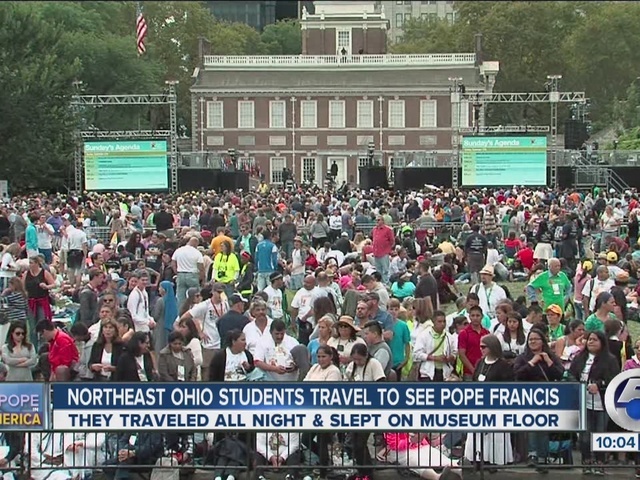 More than a million people would come for a mass on the same Benjamin Franklin Parkway where Pope Francis would say mass on Sunday. I remember watching on television as Pope John Paul II visited the Shrine of St. John Neumann, a spot I drove past so many times growing up but actually visited for the first time on Saturday with students from Hudson. Both popes also visited the Cathedral Basilica of Saints Peter and Saint Paul that Neumann helped build during his time of Bishop of Philadelphia. Completed in 1864, it remains today the city’s largest brownstone building. It was constructed with stained glass windows that didn’t start until above the second story because construction began at a time when they were burning Catholic churches in the city. In many ways, that’s when my family’s Philadelphia story began, it was around the time my great, great-grandmother emigrated from Ireland. Recently widowed while expecting her ninth child (my great-grandfather), she came to this city as so many did in search of a better life. She would settle in the city’s Kensington neighborhood and open a general store at a spot where the local priest would often say mass in the basement. (Incidentally my great-grandfather would spend his whole life in this neighborhood and it was his first house, family legend has, movie buffs would recognize as the row home that would later serve as the home of fictional fighter Rocky Balboa in the movies Rocky I and Rocky II). Growing up in this environment and through 12 years of Catholic education I saw the good of this powerful institution in this city, but I also saw that institution exposed. Years after graduating from a Catholic high school, I learned of the actions of several of the priests and religious brothers I once knew. Actions that landed the former principal in jail and nearly destroyed my alma mater, taking it from what was at one point the largest Catholic high school in the United States to one that was left struggling to find a way to reinvent itself to survive. In so many ways, one can argue so too is the church itself. A challenge recognized by Pope Francis, who met with victims of church abuse Sunday. He also in his two and a half years as pope has stepped the church back from some of the absolutes that defined many of the church stands. It is a major reason he has made this trip to America and to Philadelphia where he is continuing to preach both forgiveness for past church transgressions and the strength and importance of the family. For generations, including the one I was raised in, the church as the center helped build families. The pope's message in Philadelphia is the family is needed to help not necessarily rebuild but strengthen the church.